The A. Philip Randolph Institute (APRI) was founded in 1965 following the successful Black-Labor Alliance forged by A. Philip Randolph and Bayard Rustin that helped secure passage of the Voting Rights Act. APRI continues the struggle for social, political and economic justice for all working Americans. Today it is the senior constituency group of the American Federation of Labor and Congress of Industrial Organizations (AFL-CIO), with 96 chapters in 29 states and Washington, D.C. Through a partnership with Master Your Card, APRI saw a path to empower members by delivering financial literacy tools that help the financially underserved understand how to use electronic payment technology to their advantage. Fifty-five percent of African American households are financially underserved, compared to a national average of just 28%. 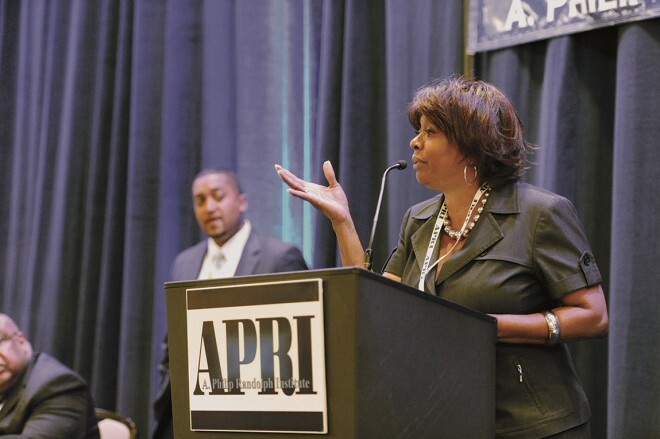 When introducing the partnership at its national convention in 2013, the 50th Anniversary of the March on Washington, APRI President Clayola Brown noted, “Too many in our community have been left out of the modern economy. The world is going cashless, but too many are stuck in an expensive cash economy.” Master Your Card was a natural fit to collaborate with APRI on solutions. APRI and Master Your Card identified two areas for innovation, with the first being to develop a tool kit of electronic payment education materials APRI trainers could use in community education among young adults and seniors. Available in physical and digital formats, the APRI/Master Your Card tool kit is now used to bring financially underserved young adults and seniors into the modern economy, giving them greater buying power and making financial security a reality instead of a dream. After its initial launch, we continued to develop new content for young adults. Both APRI and Master Your Card understand that the young adults are more willing to receive information when it is coming from their peers with whom they relate to. That is why APRI and Master Your Card recently expanded the young adult section of the electronic payment toolkit by producing four short educational videos. These videos, which are narrated from the perspectives and personal experiences of actual young adults, allow their peers to see that they’re not alone in the struggles and questions that they might have when it comes to financial literacy. Intended to be an additional tool for APRI trainers, these videos start the conversation on topics such as credit scores; prepaid, debit and credit cards; building credit; and fraud prevention and protection. This new curriculum provides a roadmap that can be used as both an introduction to learning financial responsibility and a reference when faced with financial questions and roadblocks. Debuted at APRI’s 47th Annual National Education Conference, these videos are now available on the APRI site, as well as both the Master Your Card website and YouTube channel. Creating an economically healthy community starts with our youth; providing them with the right educational tools today helps them create a more secure financial future for themselves tomorrow. Secondly, APRI wanted to collaborate on new standards for prepaid payroll cards to ensure that payday pays off for financially underserved workers. Their perspective on the needs of working people was instrumental in helping Mastercard develop and implement Six Standards for Payroll Cards that increases services, lower fees and protects financially underserved workers from possible predatory practices among employers and processors that use Mastercard’s network to implement payroll cards. 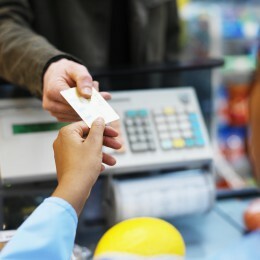 These standards effectively balance access, affordability and consumer protection, and are now a model for the Consumer Finance Protection Bureau as it considers regulation of payroll cards. APRI continues to use Master Your Card education presentations and materials to move financially underserved individuals out of the cash economy and into the convenience, savings and security of electronic payments. Union families need two things: help teaching young people how to use cards and establish credit and help teaching seniors how to protect their money by protecting themselves from theft and fraud. Today, young adults are learning the importance of establishing credit, maintaining good credit ratings through budgeting and payments, and how to use credit, debit and prepaid cards wisely and safely. Seniors are learning how to select the most secure cards, how to get more from their money by using cards and how to protect themselves from fraud and abuse. Finally, education is a two-way street in the Master Your Card partnership: APRI Executive Board member and President of the Maryland State Federation of the AFL-CIO Fred Mason serves on Master Your Card’s African American Advisory Committee, offering counsel on how electronic payments can promote upward mobility. View all four of the APRI Y.O.U.T.H financial literacy videos here.